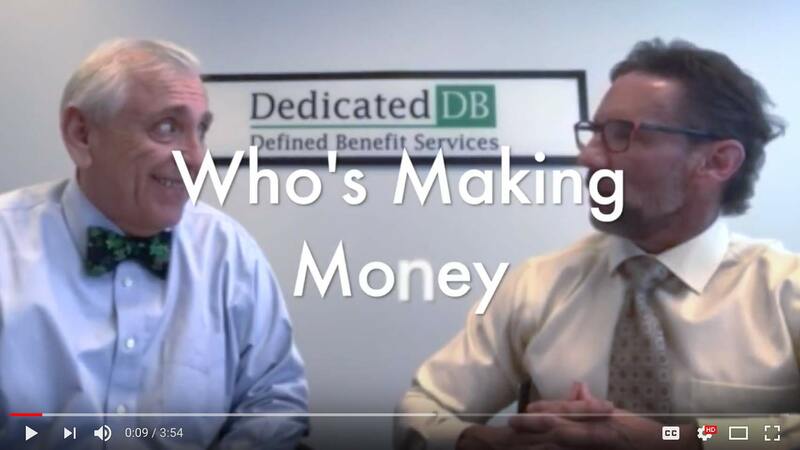 Jeff: Welcome to the latest edition of “Who’s Making Money?” and how we help them hold on to more of it. Hi, I’m Jeff Biesman and I’m here again today with Phil Pirio, a Senior Plan Design Consultant at Dedicated Defined Benefit Services. Jeff: Welcome again, Phil. Would you mind telling everyone a bit about you and Dedicated DB? Phil: Sure Jeff. I’m a retirement plan consultant. I work with financial advisors nationwide to design defined benefit and cash balance plans for high income self-employed and small business owners. Jeff: Phil, we’ve talked about this before, but it is mind blowing to hear the stories of all the enterprising ways that people are making money today. I know if you’re a financial advisor, CPA or even just someone aspiring to earn more money, you’ll find today’s story very interesting. Phil: Yes, you couldn’t be more right. One of the least obvious things I’m seeing is how people are using the internet to reach larger audiences and make money. Jeff: Could you share a good example? Phil: Sure. One of my favorite and unexpected client stories is a high school teacher who had been teaching for 15 years. She was very creative and took many of her curricula modules, gave them some attractive graphics and offered them for sale on her own web site and on a site called “Teachers Pay Teachers.” Some modules were small, like “Three lessons on Edgar Allen Poe” that might sell for as little as $1.50. Other modules might be a full semester on Poetry that could sell for $18.00. Jeff: Interesting, so she was just taking her knowledge and intellectual property and selling it online? Phil: Yup, and would you believe she earns over $300,000 from this side income!? What’s cool is that she’s still teaching and contributes to her 457 retirement plan at work. Jeff: Sounds like the takeaway is that there are a lot of people making money in non-traditional ways via the internet, right? So, how did we help her? Phil: We were able to set up a Defined Benefit plan for her side income and she is contributing about $150,000 which is all tax deductible. Plus, she’s super-charging her retirement! Jeff: So, the key takeaway is that we can help many kinds of people that have a day job with an employer but also thriving business with a healthy side income to keep more of the money they make. A defined benefit plan for self-employed is a great tax and retirement option. Any other thoughts? Phil: Yes, again, it’s amazing to hear so many unique stories regarding people utilizing their talents and the internet to make a lot of money. If you’re an advisor for one of those folks or maybe someone that’s in that position you should not hesitate to contact us right away. Talking to us early on can help you get on the right track, avoid some common pitfalls like opening a SEP first, and leverage some of the attractive incentives of the new Tax Cuts and Jobs Act like the 20% deduction for certain pass through entities.